Natural stones are increasingly popular in wellness areas and in luxurious spas. The luxurious spa in Castle Elmau was finished with SOLNHOFENER Natural Stone flooring and MAXBERG® Jura Limestone columns. 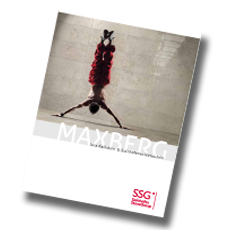 Due to their natural beauty and the hygienic nature, MAXBERG® Jura Limestone, SOLKER® stoneware, SOLNHOFENER Natural Stone and UNIVERSUM natural stones are in increasing demand in private homes as well. The possibilities are endless, from floor and wall coverings to vanities, solid tubs, sinks and shower trays. UNIVERSUM granite is currently the trendsetter among kitchen counters.